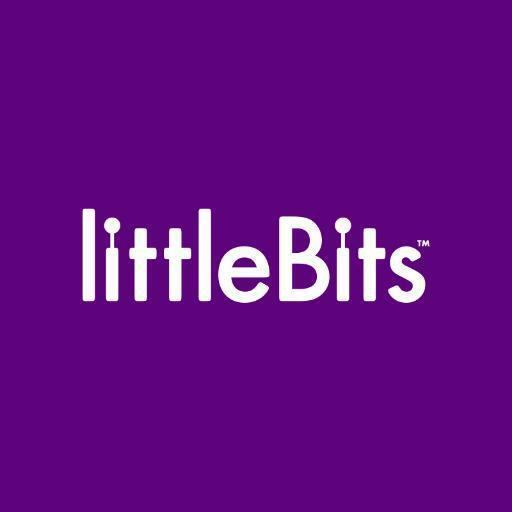 littleBits™ is a platform of easy-to-use electronic building blocks that empower you to invent anything, from your own remote controlled car, to a smart home device. The Bits snap together with magnets, no soldering, no wiring, no programming needed. There are several different kits, but all comprise magnetised modules. 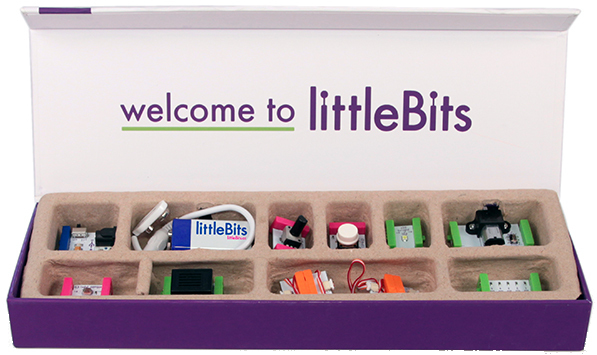 littleBits is the New York-based hardware startup that is on a mission to Democratize Hardware by empowering everyone to Create Inventions, large and small, with a platform of easy-to-use Electronic Building Blocks. The company’s innovative building blocks snap together with magnets to allow anyone to build, invent, and prototype with electronics independent of age, gender and technical background – no soldering, wiring, or programming required. littleBits breaks down powerful technology – from music with the littleBits Synth Kit, to the Internet of Things with the Smart Home Kit – and makes the technology accessible and easy to understand. The company was founded in 2011 by MIT graduate, TED Senior Fellow and cofounder of the Open Hardware Summit, Ayah Bdeir, and has grown to be a global leader in hardware. Bdeir was named one of Fast Company’s Most Creative People in Business, one of Inc.’s “35 Under 35” and "Entrepreneurs to Watch," one of Entrepreneur's "10 Leaders to Watch," one of Popular Mechanics’ 25 Makers Who Are Reinventing the American Dream, and one of MIT Technology Review’s 35 Innovators Under 35. The littleBits platform includes more than seven kits and 67 interoperable modules with millions of products sold in over 100 countries around the world. The company was named in CNN’s “Top 10 Startups to Watch”, one of the CNBC Next List, and has been profiled by the BBC, Bloomberg, CNBC, Wired, Popular Mechanics.